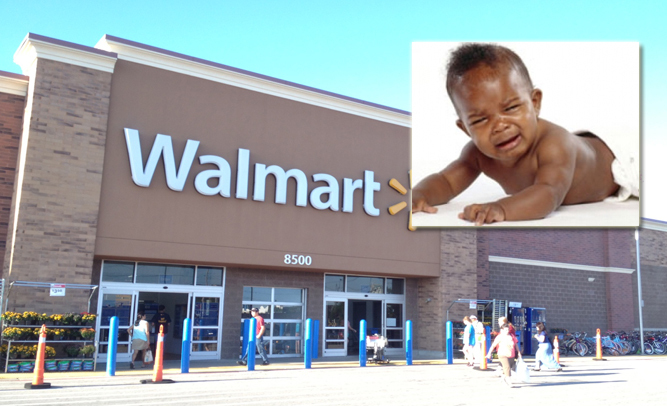 A woman who was stopped for shoplifting at Walmart claims that it “wasn’t her” that put more than $900 worth of merchandise into her baby carriage, and that her 4-month-old infant is to blame. Police say that store detectives stopped Jones on suspicion of shoplifting after they say they saw multiple devices sticking out from underneath the diaper bag in her baby stroller. Curiously enough, upon review of the store security footage, Jones was never seen putting anything in to her carriage at all; police ended up arresting her baby for grand larceny.